Issey Miyake launches a new fragrance for men in March 2012. That will be a new version of the popular men's edition L'Eau d'Issey Pour Homme from 1994. Name of the new fragrance is L'Eau d'Issey Pour Homme Sport and is created as an energetic, unconventional edition ideal for everyday use. 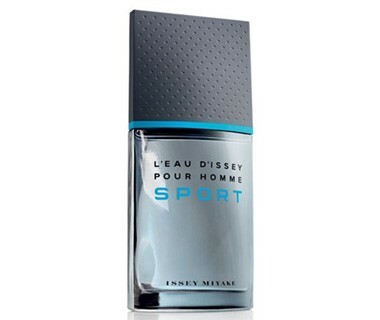 L'Eau d'Issey Pour Homme Sport offers a luminous opening full of sparkling citruses and energy. Bergamot and grapefruit provide a strong and dynamic beginning in the opening notes. A heart of the composition offers spicy shades of nutmeg combined with leather, while a base features elegant woody accords of cedar and vetiver. It is recommended for daytime wear.